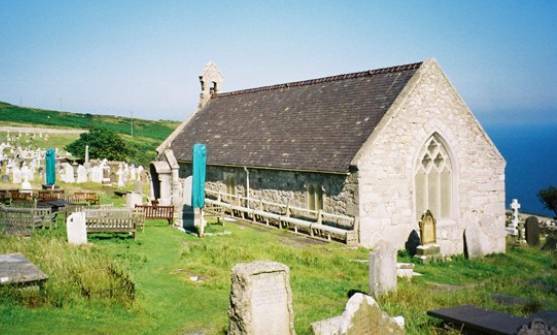 On the northern side of the Great Orme at Llandudno, nestling in a sheltered hollow, is the church of Saint Tudno with its churchyard and the adjacent town cemetery, still in regular use. This little church, open daily during the season, was built in the 12th century on a Christian site dating from the 6th century and dedicated to the memory of its founder St. Tudno. He was one of the seven sons of King Seithenyn whose legendary kingdom in Cardigan Bay was submerged by tidal activity. Each son in reparation for their father's neglect, so it was seen, studied in St. Dunawd's college at Bangor Iscoed (Bangor on Dee, near Chester) and went to an isolated part of Wales to preach the Christian faith to the people. 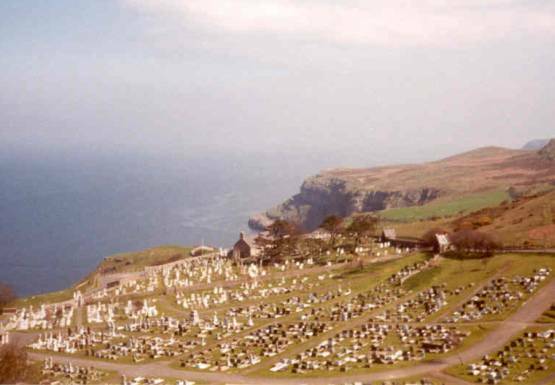 Later Tudno established the Church on Cyngreawdr (the great rock - the Great Orme). The Ogof Llech (a small cave on the headland, difficult of access, but with a clear spring of water) was Saint Tudno’s cell, from which he took the faith of Christ to the local people. 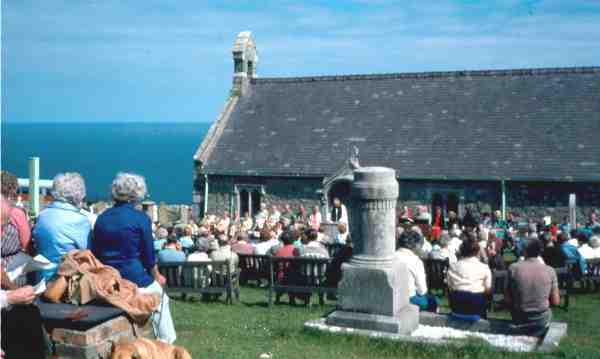 Saint Tudno’s Church is a monument and a witness to the men and women of faith who through the ages and to the present day brought the Peace of Christ to the people of Llandudno. The Feast of Saint Tudno is celebrated each year on 5th June. 'Y Gwylmabsant' or the Patronal Festival was observed on the Great Orme annually on that date early in the 19th century (recorded in the Cambrian Traveller's Guide of 1813 and reported in 'The Old Churches of Snowdonia' by Harold Hughes & Herbert North, 1924 reprinted 1984). Saint Tudno's ancient church (see photographs below) has been heavily restored many times until nothing remains from Tudno’s day. The church, built and rebuilt over many centuries, achieved its final form in the 15th century. 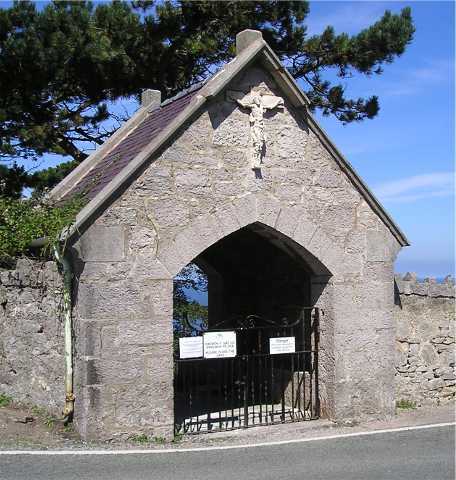 The roof blew off during a fierce gale in January 1839 and it was not restored, rather the Church authorities decided to build a new church on the other side of the Orme in what is now Church Walks. The new church, completed in 1840, was called Saint George's and the status of parish church was transferred to it by Queen Victoria in November 1862. 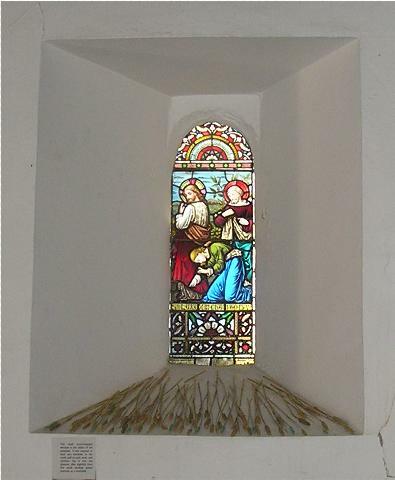 Until then, St Tudno's had remained the parish church and a restoration appeal in 1855 enabled the roof to be repaired and the church returned to use. 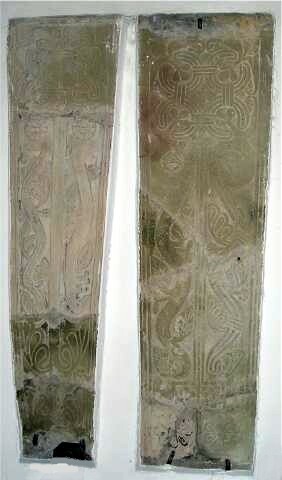 The medieval wall paintings were all lost in the restorations of 1855, 1888 & 1906. The church has a few ancient features, the font dates from the 12th century, and there are early sepulchral stones, otherwise most of the furnishings, date from the restorations. There is, however, a remarkable medieval survival, a carved wooden roof boss high above the chancel step depicting the 'stigmata' or five wounds of Christ. 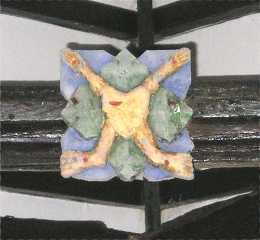 This stigmata emblem is an almost unique survival in Wales, only one other is known in a Welsh church and it is preserved at Saint Hilary's Church in the neighbouring parish of Llanrhos, where it is mounted on a wall plaque together with three other roof bosses that are carved with the traditional emblems of the evangelists Mark, Luke and John. 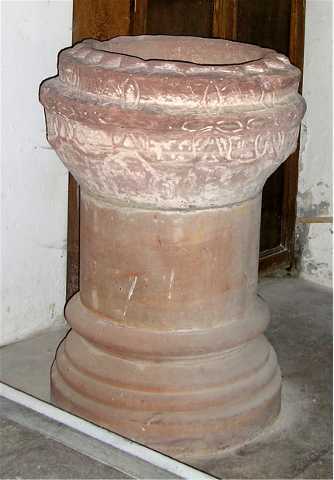 There is also in St. Tudno's an ancient beam (possibly part of the rood beam) with a carved serpent upon it forming a wall plate above the north window in the chancel. 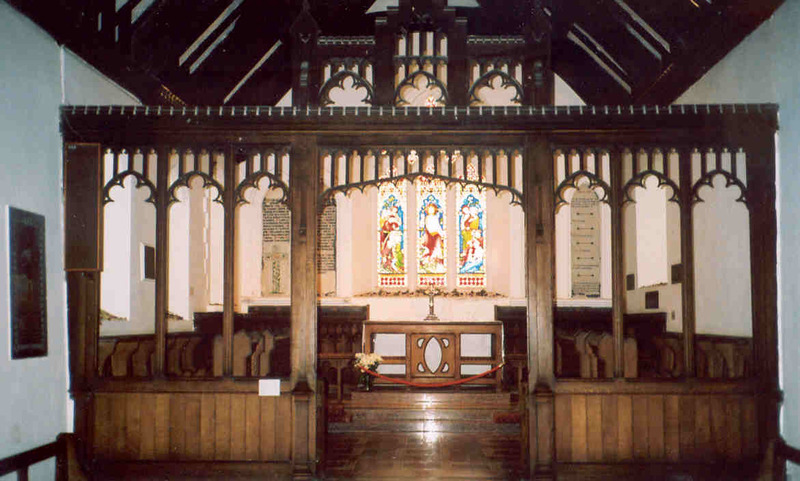 A short portion of the original rood screen (carved with a vine motif) is fixed to the west wall. seeking to identify their position on dark winter nights.